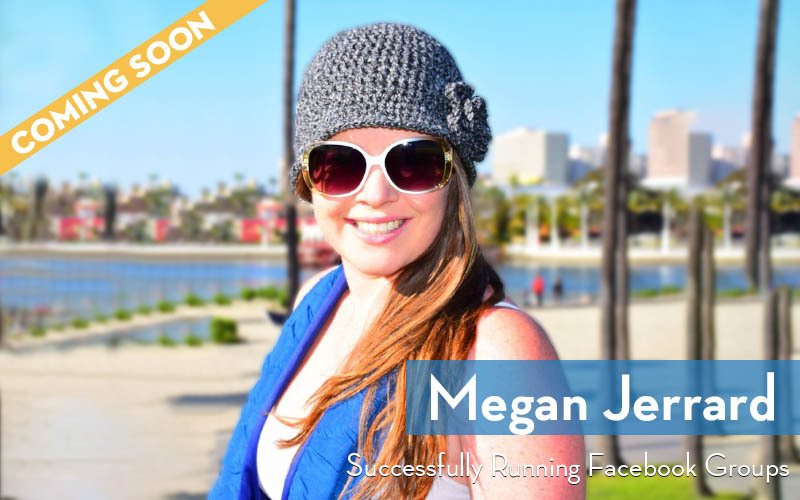 Megan Jerrard writes an award winning travel blog and moderates multiple reciprocal sharing Facebook groups for travel bloggers at Mapping Megan. Successfully Running Facebook Groups Crash Course covers the ins-and-outs of starting, growing, and moderating an engaging Facebook group to help you build your online community. Most people, especially in the blogging community, are part of A LOT of groups, and many run their own. How do you shuffle through the noise? What are your top 3 strategies for keeping people engaged? How many different groups do you run? Can you tell us a little about each? How much time do you spend administrating your FB groups each week? How much time and money is it going to take to reach your goal of selling one six figure niche site per year? What benefits do you directly or indirectly get out of running these groups? Do you monetize your groups in any way? What are some rules you’ve developed to help you moderate the group from Spam, off-topic discussions, or malicious behavior? You have help moderating some groups. How did you swing that? And was your process for recruiting help? Have you ever had to remove a moderator and for what reason? What are some steps I should take to prepare my site for sale? And when should I start prior to listing? What are some potential negative aspects of running a FB group in regards to time or negative impact on your brand? How did you get your groups started? What are some advice you can share for someone wanting to start their own group? At the very beginning, when it was just you and a handful of friends who joined, how did you keep keep a small group engaged? How have people found your groups? Where have most of the new members come from? Do you filter out member requests or let anyone in? And if so, what is your criteria? How has running a FB group changed since you stared doing it for better or worse? Sign Up or Login for lifetime access to all of our current and future courses for a low one-time fee.